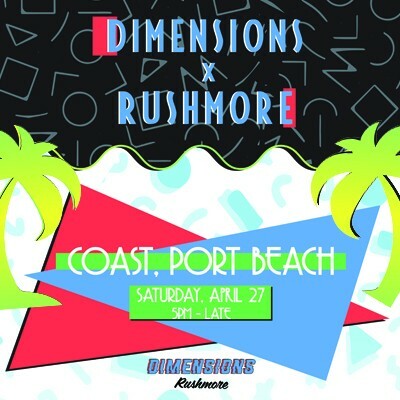 Following the sell-out success of our last collab, we are proud to host another party and announce Dimensions x Rushmøre @ Coast Port Beach on Saturday, April 27th 2019. With 3 stages and specialised music genres, you’ll experience the ambience of 3 events under one roof, but at the beach! Come find your dimension, and groove with us into the sunset.